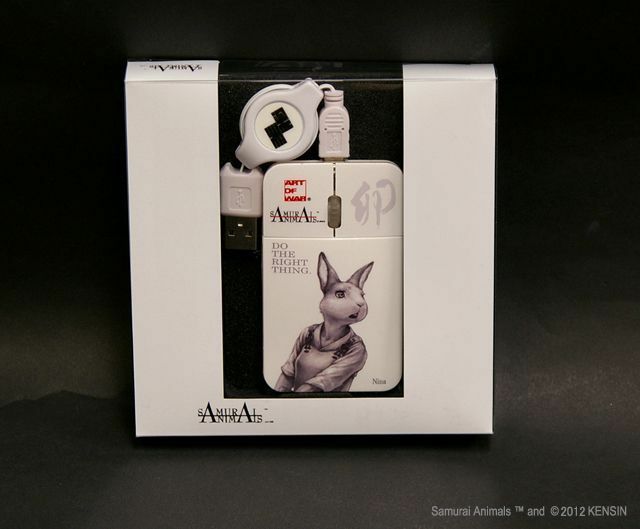 Home > SAMURAI ANIMALS™ > PC & Mobile Goods > SAMURAI ANIMALS- Mouse - Nina the Rabbit Samurai *Stopped Production. SAMURAI ANIMALS- Mouse - Nina the Rabbit Samurai *Stopped Production. 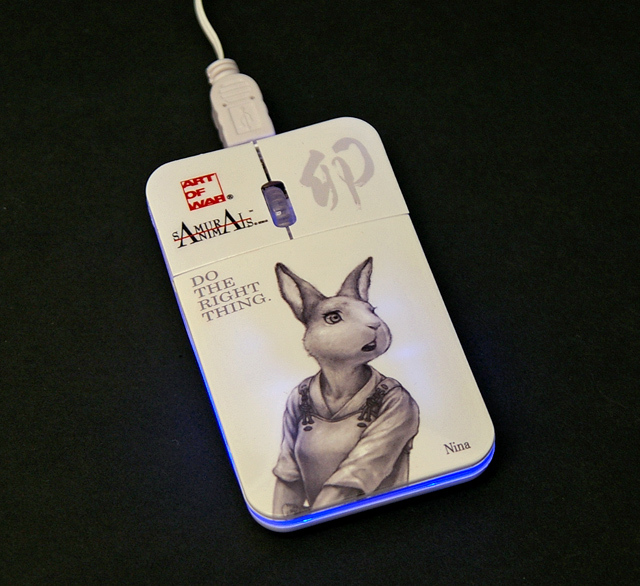 This mouse is printed in fine detail by using UV printing technology. 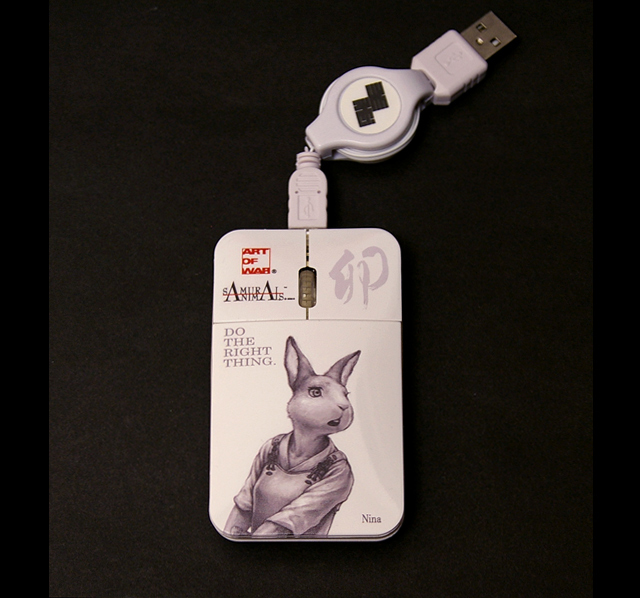 It is ideal for use on your desk or to take away with you along with your laptop. 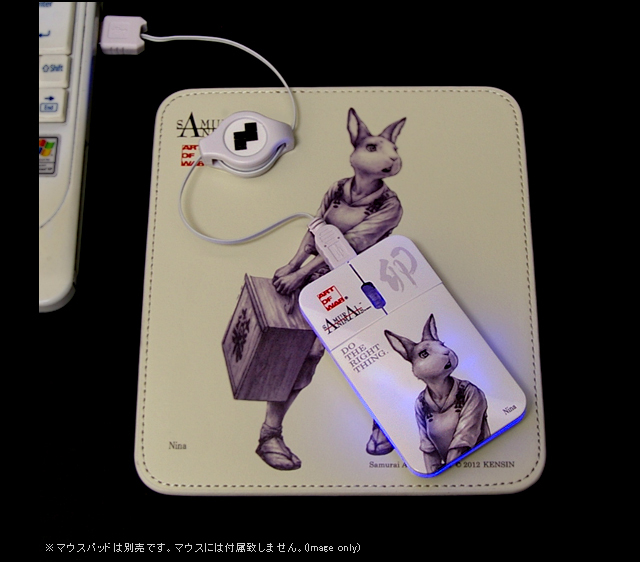 As soon as you plug this mouse in you will notice the light up effect of blue light.